Life of every person is unique and wonderful in its own way. But sometimes people come into our world that bring the great gift of discovery, who can change considerably the usual eternity picture, improve relations of the Man with himself and the whole huge World, people giving each of us strive for harmony and ability to find Own Path, and implement own destiny on the Earth. 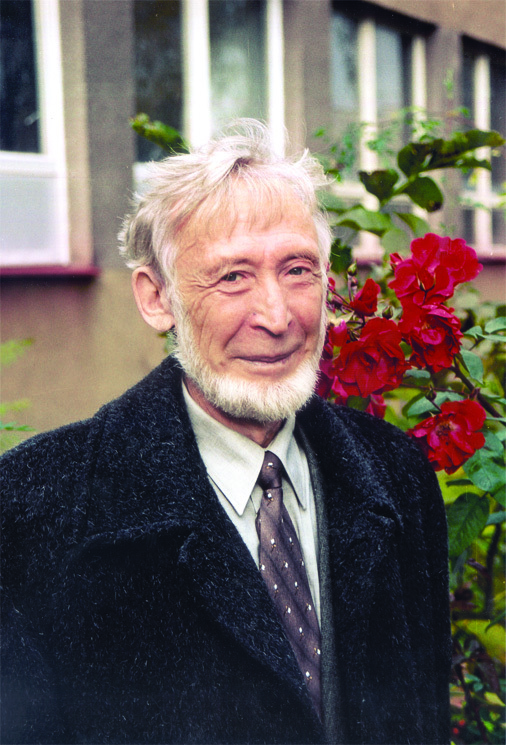 One of such great persons was Albert Vasilevich SKVORTSOV, Russian physicist, genius inventor, who developed the unique method of health recovery and conservation with the help of lightful vibration technologies. Albert Vasilevich was born on October 2, 1934 in the city of Isilkul of Omsk region. His father – Vasiliy Mikhalovich - went to the front in winter 1941 and died before the Victory – in April 1945. His mother – Elena Mikhailovna – raised four fatherless children alone. Albert was congenitally nearly totally deaf: for a long time the boy communicated with himself alone, without communication with boys of the same age, and this influenced a lot his personality preserving to a large extent his unique and peculiar character. After graduating the eighth grade Albert was made a surgery, his hearing recovered. But sometimes after the treatment he became totally deaf for some period of time. After graduating from the tenth grade Albert left his native city for Sverdlovsk and entered radio-technical faculty of the Ural Polytechnic Institute, and after that he worked in Kazan under appointment. Very soon Albert Vasilevich proved himself to be talented engineer and inventor: among his elaborations was computer record magnetic system considerably increasing options of such a device. Today such invention would be by right called serious technical innovation, as thanks to it our country had got full-scale middle class computer. Albert Vasilevich invented also broadband electrometric amplifier enabling measurements impossible at other devices. 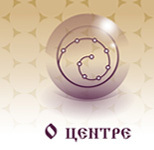 Since 1961 SKVORTSOV worked in Novosibirsk science campus at different institutes and organizations of the Siberian Department of the Russian Academy of Sciences, researched. Serious diseases of close people made him think: is it possible to create a substance able to return Nature Standard to a human body ? At that time Albert Vasilevich was the manager of an apiarian company and understood the power of the gifts of the workers – bees. This knowledge was of use to him when creating first propolis suspensions. At first those suspensions helped his relative to avoid physical disability, after that they recovered health of a lot of his acquaintances who learnt about SKVORTSOV's invention. The main discovery of SKVORTSOV is lightful vibration technologies – the best reward for his generous and self-sacrificing life. After creating his first Product in 1975 SKVORTSOV gave people hundreds liters of the suspension for free during a quarter a century. Giving curative suspension – later on widely known as “the seven” – to kindergartens and schools, hospitals and institutes, to families he asked in return for the only thing: to write objective opinions on his Product's effect. For many years SKVORTSOV meticulously gathered materials on his suspensions effect. Soon rumor about magic medicine spread through towns and villages. But only years later after overcoming many difficulties SKVORTSOV could patent his invention, and organized Product manufacturing with the help of like-minded people. In 1996 SKVORTSOV Products were in production at Novosibirsk plant of artificial fibers. Manufacturing was registered under the name “Nectar-P”, and SKVORTSOV continued his researches in the Laboratory named “Nectar”. SKVORTSOV's laboratory became pilgrimage destination for many people who recovered and improved their health with the help of suspensions. Since 1999 production facility moved to Berdsk city of Novosibirsk region. Since that time the company is called “Nature-S”. Albert Vasilevich SKVORTSOV ' s contribution into bioenergetic vibration medicine – the medicine of future – is really great. The scientist managed to create new method of health recovery, fundamentally new Products providing totally new results of health recovery. SKVORTSOV ' s Products include propolis and herbal raw materials processed by bioactive energy of the Earth ' s background field. Wide and powerful range of these Products results from the fact that they mobilize inner body strengths efficiently, recover its adaptation and self-regulation up to the Nature Standard. Besides the Products are absolutely harmless due to natural constituents and contain no artificial conserving agents, that is why they are for the benefit of all people without limitations. Not only gratitude of thousands of people who recovered their health with the help of SKVORTSOV ' s Products but also multiple clinical examinations sealed with stamps of well-known medical institutions show how effective they are. Apart from development of propolis Products SKVORTSOV Albert Vasilevich pursued complete cognition of Universe arrangement, place of the Human in it. “ My World picture is a space one. The Man is over-simplified, he is shown on the physiological basis, but he is made after the image and likeness of the Universe: he is of energetic structure, he has energoinformational field. All human processes are first of all on the energetic level. Energoinformational exchange never stops for a moment, and in the special field – informational space – there are data about everything going on in the World. The man, as a World ' s part, has channels to interrelate with it. That is why the man potentially has all abilities included in him ” – says Albert Vasilevich, genius inventor, Creator who gave the greatest knowledge and methods to the World, and showed the way of Light and Harmony acquisition. Use: in pharmacology at bioactive medication production, in therapy for body irradiation by bioactive energy, as well as in cattle-breeding and crop growing. Current task: is to increase biological activity spectrum of both the substance-bearer of bioactive irradiation, and the device for object's irradiation by bioactive energy. Essence of the invention: is in the known method of obtaining of the substance-bearer of bioactive irradiation during substrate exposure to wave bioactive energy, it is offered to use suspension of propolis and herbal raw material water-alkohol- polysaccharidic based as a substrate. Suspension components are taken in specific proportions. It is possible to affect the substrate by bioactive energy of preliminary irradiated water, and to make this during suspension obtaining by mixing components. 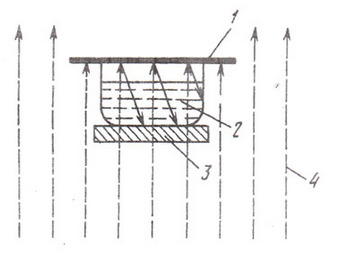 The method may be implemented by using the device for object's irradiation by bioactive energy, that contains bioactive energy source and the screen, characterized by the fact that background field is used as the source of natural wave energy field that surrounds the object located on the dielectric platform (picture). The invention relates to medical industry and may be used for transfer of bioenergetic information to the medium, for example, when producing testing devices of etiological diagnostics, bioactive pharmacologic products, as well as medical products. The technical result is in reduction of distortion of bioenergetic information during the process of transfer and increase in media facilities used as the information medium. Essence of the invention is in the method of information transfer to a medium, i.e. information medium is heated and while it is being cooled it interrelates with the source of information; it is preferable to determine preliminary heating temperature value at which the previous information will be destroyed at the information medium, and the information medium should be heated up to this aforementioned temperature value; and it is requested to make the information source to interrelate with the information medium by means of dropping the latter into the liquid which is the information source. Information medium can be made of natural waxes, resin or their mixtures, metals, gem and semiprecious stones, as well as in the form of metal jewelry.